← Black Toilet Paper? MBA Case Studies Gone Bonkers . . . Shallow men believe in luck or fate. Wise men believe in cause and effect. It’s been six tumultuous years since the global economic meltdown of 2008 and we are finally glimpsing signs of a return to a growing economy. Belt tightening, cost control, bail outs, bankruptcies and mortgage foreclosures are slowly giving way to optimism, job creation and stock market highs. While the large global banks are today posting profits, at the same time they are still discovering incidents of fraud and wrong-doing that began years ago. Monetary fines and settlements from money laundering, mortgage mis-selling, and rate fixing have, over the past 5 years alone, totalled more than $90 billion. And it’s not over yet. Risk also comes from not knowing who is doing what! It’s no surprise then that almost every global banking institution lists “mitigating risk” as one of their key strategic imperatives for 2014. Citibank has declared a top-down initiative of Zero Tolerance. A clear signal that unethical and inappropriately risky behaviour will not be tolerated. Barclays new Chief Executive, Anthony Jenkins, brought in to replace risk and profit focused Bob Diamond, has published a new set of core values, The Barclays Way, and launched a top to bottom communications and training program to “instill the new values”. Royal Bank of Scotland, once the home of big spending Fred Goodwin and now 80% owned by British taxpayers as a result of a massive bailout, has issued a new Code of Conduct and a decision-making template called the Yes Check, designed to help employees avoid undue risk. Risk mitigation is a critical strategic imperative for banks. And if the banks don’t do it themselves, the government and financial regulators will, and excessive regulation often stifles business expansion and social progress. A second significant topic also heads the list of strategic imperatives for big banking. The issue of gender diversity and inclusion is now a full-fledged movement, backed not only by research and activist groups, but also governments. A UK Government sponsored task force launched in 2011 and chaired by Lord Davies of Abersoch put forth the goal that FTSE 100 Boards should be 25% women by 2015. This is starting from less than 15%. And the impetus for such a radical change? Besides being the “right thing to do” from a perspective of the makeup of modern society, there is a growing body of evidence that companies with significantly diverse boards perform better than all male boards. In 2013 a second UK Women on Boards report celebrated significant progress, citing a statistic of just under 20% and declaring the goal of 25 by 2015 well in sight. But diversity and inclusion is not about a single quota number. It is really about bringing the value of diversity and inclusion into all levels of business management. And here the statistics remain little changed: less than 3% of CEOs are women, less than 6% of senior executives and 10% of directors are women. Yet entry-level management classes are predominantly 60% women graduates. We may have equality in education, but not in business. Women enter management in abundance, but few get to the upper levels. So, two highly important strategic imperatives, risk mitigation and diversity, are front and centre for global banking. And in typical business fashion, they are being attacked as separate issues led by different functions. HR tends to carry the torch for the women in business, diversity and inclusion issue, while the Governance and Compliance functions tend to own the risk mitigation initiatives. But look a little deeper into these two issues and you will find they are actually connected by a single cause. Both are the result of the “current culture of banking”. And the solutions to both reside not only in new policies, tightened regulation, or higher quotas, but in a fundamental change of corporate culture (behaviours). The way people routinely behave with each other, with customers and suppliers, and how they go about dealing with daily work issues, defines a corporate culture. Culture is not written values statements! Culture is habitual behaviours. And in the case of banking, certain behaviours, like skewed hiring profiles favouring men and bullying and foul language, are toxic towards diversity. Other current behaviours, like the cult of “profit heroes” and peer pressure to conform, are punitive towards speaking up against risky activities by colleagues and teammates. 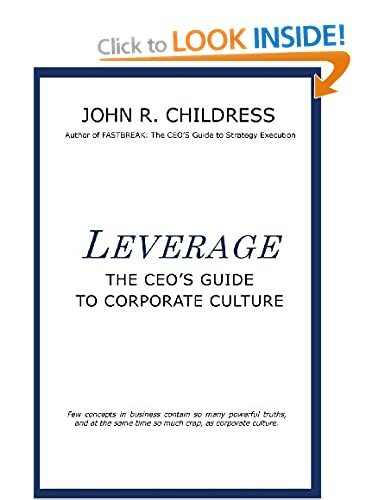 Understanding that corporate culture (habitual behaviour) is at the root cause of both risk and diversity is a profound and useful insight. It means the leadership of banking can now understand the problem and orchestrate a solution in an integrated, cost-effective and efficient manner. As I’ve said in these memos for more than 25 years: “We can afford to lose money – even a lot of money. But we can’t afford to lose reputation – even a shred of reputation.” We must continue to measure every act against not only what is legal but also what we would be happy to have written about on the front page of a national newspaper in an article written by an unfriendly but intelligent reporter. Sometimes your associates will say “Everybody else is doing it”. This rationale is almost always a bad one if it is the main justification for a business action. It is totally unacceptable when evaluating a moral decision. Whenever somebody offers that phrase as a rationale, in effect they are saying that they can’t come up with a good reason. If anyone gives this explanation, tell them to try using it with a reporter or a judge and see how far it gets them. If you see anything whose propriety or legality causes you to hesitate, be sure to give me a call. However, it’s very likely that if a given course of action evokes such hesitation, it’s too close to the line and should be abandoned. There’s plenty of money to be made in the center of the court. If it’s questionable whether some action is close to the line, just assume it is outside and forget it. Somebody is doing something today at Berkshire that you and I would be unhappy about if we knew of it. That’s inevitable: We now employ more than 250,000 people and the chances of that number getting through the day without any bad behavior occurring is nil. But we can have a huge effect in minimizing such activities by jumping on anything immediately when there is the slightest odor of impropriety. Your attitude on such matters, expressed by behavior as well as words, will be the most important factor in how the culture of your business develops. Culture, more than rule books, determines how an organization behaves. PS: I am not a bank basher. On the contrary, I believe a healthy financial services industry is one of the key elements to a healthy global economy and social progress. But I am not alone in the cry that the culture of banking is broken and needs enlightened and courageous leadership to mend it. 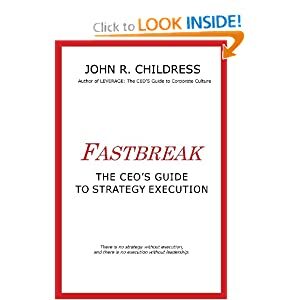 This entry was posted in consulting, corporate culture, Human Psychology, John R Childress, leadership, Organization Behavior, strategy execution and tagged Anthony Jenkins, banking culture, bankruptcy, Barclays, Berkshire Hathaway, Bill Clinton, Citi Bank, Culture of Banking, diveristy, FSTE 100, inclusion, Lord Davies of Abersoch, RBS, Risk, risk culture, risk mitigation, strategic imperatives, Warren Buffett, Women in banking, women in business, Women on Boards, Yes Check, Zero Tolerance. Bookmark the permalink.